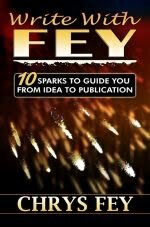 This book will demonstrate characterization, which was voted #1 by our members for what they want to learn how to do better. 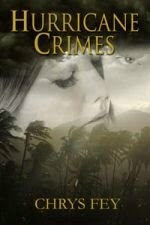 Even if you've read this book before, reread it with fresh eyes, paying attention to characterization. Whether you read a book is up to you. 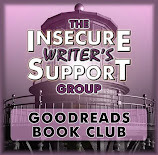 Whether you join the book discussion is up to you. And you can join any book discussion, even if you don’t read the book. Our book club is not a strict one. Join us and participate when you can. Upcoming Book Event: I will be going to my first book event on Friday, June 2nd, which will involve workshops, mingles, and more. On Saturday, June 3rd, I'll be part of a massive book signing. One of our very own, M.J. Fifield, will be there, too! She actually told me about this event last year. Thank you, M.J.! - Figured out what decor I wanted on my table. - Figured out what SWAG and promo items I want to hand out. - Bought a tablecloth, just in case I need one, and small table-top easels to hold copies of my books. - Hand-painted sea shells for SWAG. 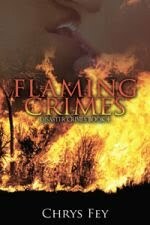 - Ordered more bookmarks from Vistaprint. 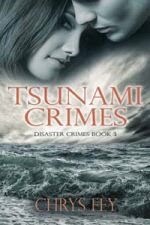 - Ordered two addition packs of postcards for swag with the covers and blurbs for Hurricane Crimes and Tsunami Crimes. - Bought a balloon pump for a blow-up decoration I got for my table. I'm so excited about this!!!! - Bought a small, dry-erase white board to write down my book prices. - Bought a rolling cart to carry my books. - Bought a clipboard for newsletter sign-up sheets and a 1/2-inch white binder for short reviews people can read at my table. - Bought new black pants to wear to the signing. 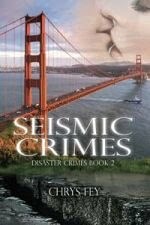 - Ordered 12 copies each of Seismic Crimes and Tsunami Crimes. - And updated EVERYTHING on my website. - What will I have as a giveaway (a basket on my table) to get people to sign up for my newsletter? - What can I give special to people who buy a copy of my books? 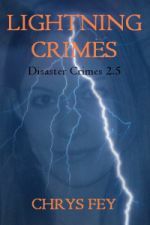 - Set up an ebook sale (for all of my books) to immediately follow the event. - Have money for meals.and books! - My leather planner with a new pack of paper for note taking. - Breath mints...cuz, you know...just in case. - Duct table..cuz, you know...you never know. - Blanket and pillow for my sleepover. - Necessities like toothbrush/paste, makeup, etc. I'll be stepping out of my shell, so...WISH ME LUCK! P.S. 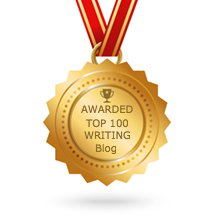 I'll share how it went in my IWSG Day post on June 7th. You sound totally prepared and will do awesome! You're going to have so much fun! That is a perfect list. Add a candy dish and fill with Dollar Store Tootsie Rolls or something. (Never fill with Kisses as they will be gone in 30 minutes.) I've done over 350 signings and book events and my best tip - do not sit. Roam and engage with everyone. And hand everyone a bookmark. No matter what they say about buying your book later, they won't remember your name five minutes after meeting you. I think I'm going to skip the candy dish and see how it goes without one. I have some interesting goodies to handout to people. :) I definitely plan to roam and engage everyone I can. Thanks, Diane! Good luck Chrys and I look forward to your post on the ISWG next week. This is cool Chrys! Congratulations and I hope you have a blast and all goes well! Everything I can think of to hand out, someone else is most likely doing. Since your books center around natural disasters, some kind of little survival kit would be cool, but probably too expensive. Maybe a different item for each book, some little something that appears in the book somewhere? P.S. 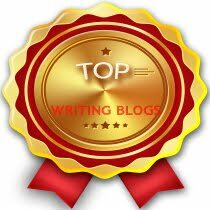 Your blog is looking great! I have the hand painted shells. They have a significance in my stories. That's so awesome! Wish I lived closer so I could check it out. You'll do great! I think I read The Secret Garden in first grade. It'll be interesting to read it again. You don't have a smartphone at all? Because I thought the Square reader worked for iPhone and Android. Have fun, Chrys! I hope you and M.J. get to hang out a bit. I am so excited for you. You planned brilliantly. Can I mention I'm a little jealous of your organizational skills? It sounds like you have everything. Please, have lots of fun. I'm sure we'll be able to hang out, Hopefully. I just started Secret Garden and love it as much as I did when I first read it. Good luck on your event. You sound very prepared and I want to wish you the best...and have fun! Wish I lived closer. Wow, I'm so impressed with your preparation. You'll do great. I've never done this before but guess I better start thinking about it. I'm looking forward to your pictures. Have fun, and wishing you lots of success! Thank you, Sharon! I'm nervous. I'm afraid I won't know what to say. I definitely have to step out my my shell. This sounds awesome, Chrys! You've covered it all. 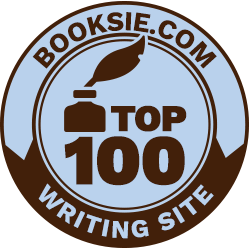 One thing you may want handy is an old fashioned sign up sheet for people to leave their names and emails in order for them to sign up for your author website newsletter. Don't forget the pen. Best of luck...you will be wonderful!! AS for the book club, my apologies as I haven't been keeping up with it. I will try to join a read maybe for summer. I have sign-up sheets for my newsletter. It's listed up there. The book signing sounds fantastic! You're so well prepared that I know it will go smoothly. 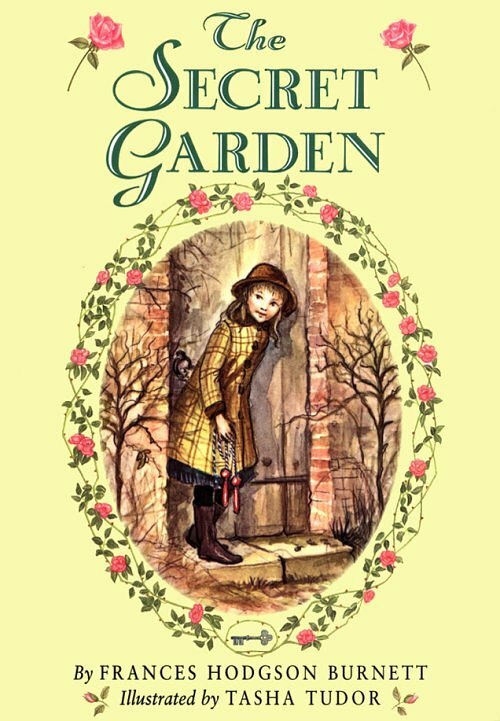 I loved The Secret Garden as a child. Am definitely going to try to re-read it and join in the book club discussion over the next couple of months. Good luck with the signing! I haven't read either one, but now I'll be reading The Secret Garden. Have fun. Sell lots of books. I just ordered The Secret Garden. Out of all my children's books, it's one I do not have. 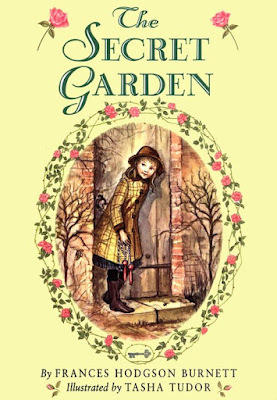 I own The Secret Garden but never read it. Good luck tomorrow and this weekend! I love how you prepared. Especially adding the painted shells. Thanks! The shells were a big hit. Cong rates and good luck. Good luck, Chrys. Sounds like you're very well-prepared. Most of all, enjoy the heck out of this! You shouldn't need an iPhone for a credit card square. I think my phone's an android and I have a Square for it so unless you don't have a smart phone period, you should be able to get one. I don't have a smartphone. No cell phone at all. I hope you had fun and sold ALL your books! Wow. You were way, way more prepared than we've ever been for a book signing. We hope it went well. In our experience, the giant blown up book cover probably helps the most, to get people to come over and start looking at it/talking to you. It's a great ice breaker. Way better than, "Hey you, come over here and buy my stuff." I plan to buy a banner because it seems people were drawn to the tables with banners. It was great for networking. I had fun and got a lot of newsletter signups. That was a lot of planning and organizing! I hope your event went most swimmingly. Hey, congrats and good luck on your book signing. Wow!